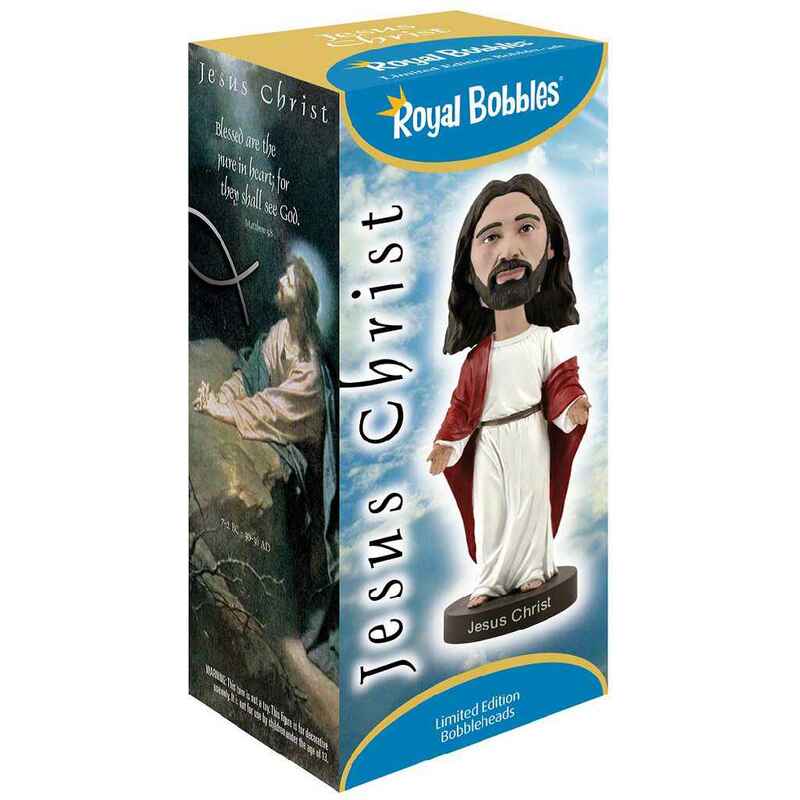 According to the Holy Bible, Jesus was the son of God and the central figure of Christianity and during his earthly existence he was born of a virgin, performed miracles, and founded the Church. 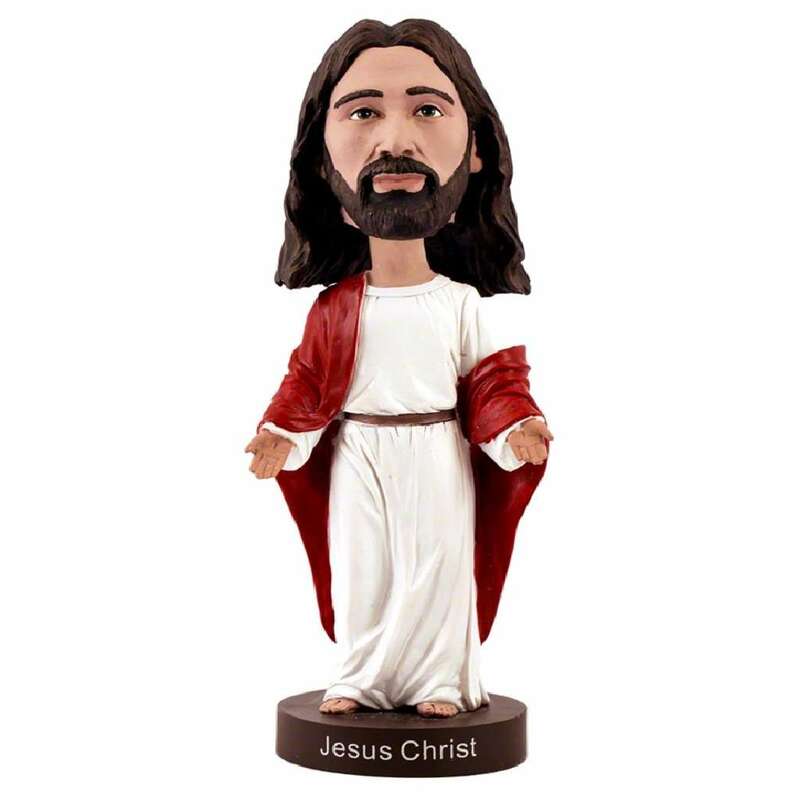 To assure the salvation of all the followers and believers, Jesus gave his life and was then resurrected from the dead and ascended into heaven. 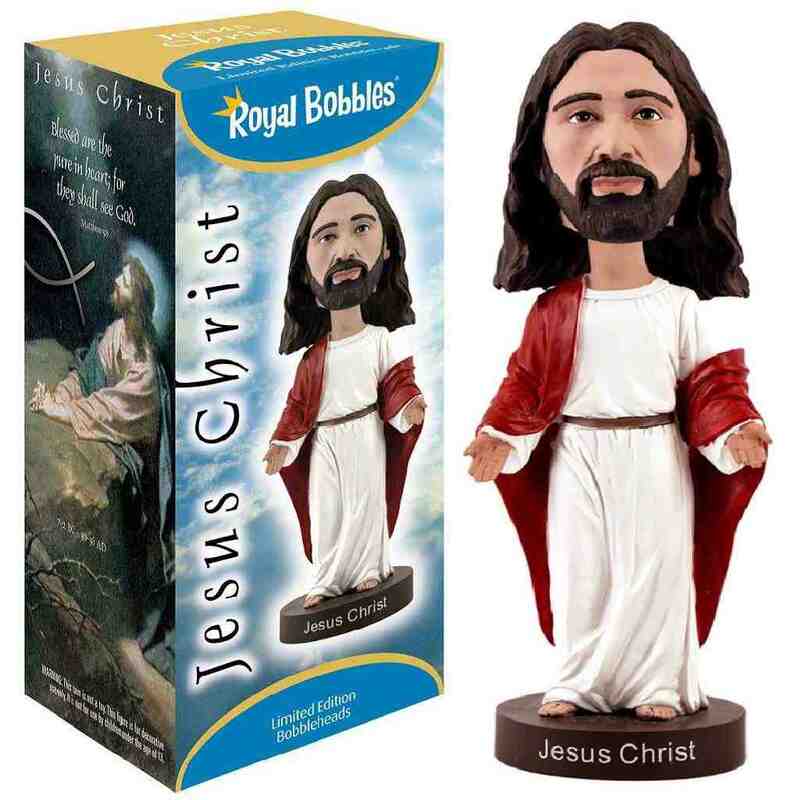 This new second version of the original Royal Bobbles Jesus Christ Bobblehead has been designed with a more realistic and respectful look compared with the older version.